My husband is known for his crazy sweet tooth. As a Christmas gift last year, I called upon a dear friend of ours — an amazing pastry chef — to make H a special dessert each month. 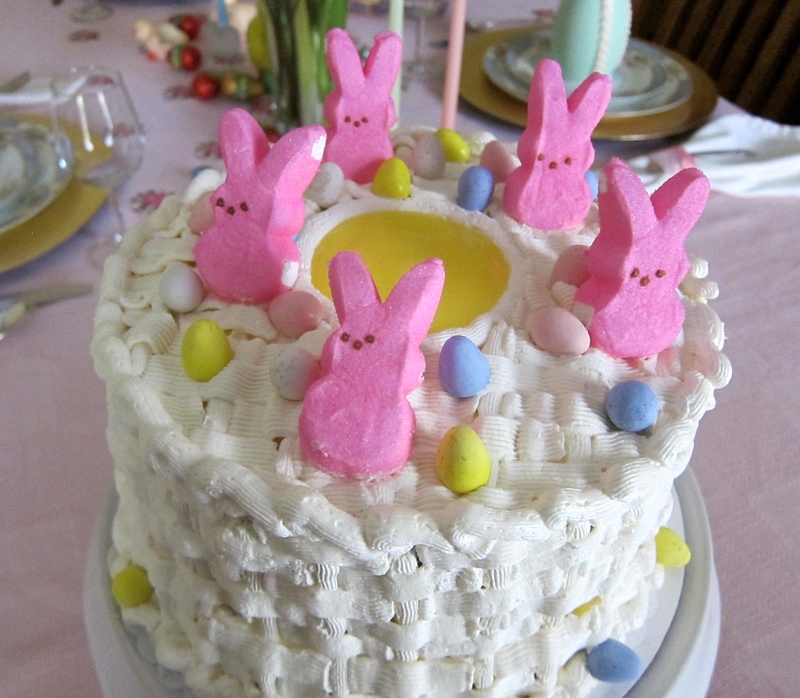 For April she surprised him with this Easter-themed white layer cake with lemon curd and Italian buttercream. He was in heaven! ← Fashionable Family Friday: You Talkin’ to Me? Tell H he needs to share a little of this “love” with his wonderful, loving, caring, friend (which of course would be me). Looks yummy! Could you share the name of that pastry chef? That cake is gorgeous!! Hey Lese! 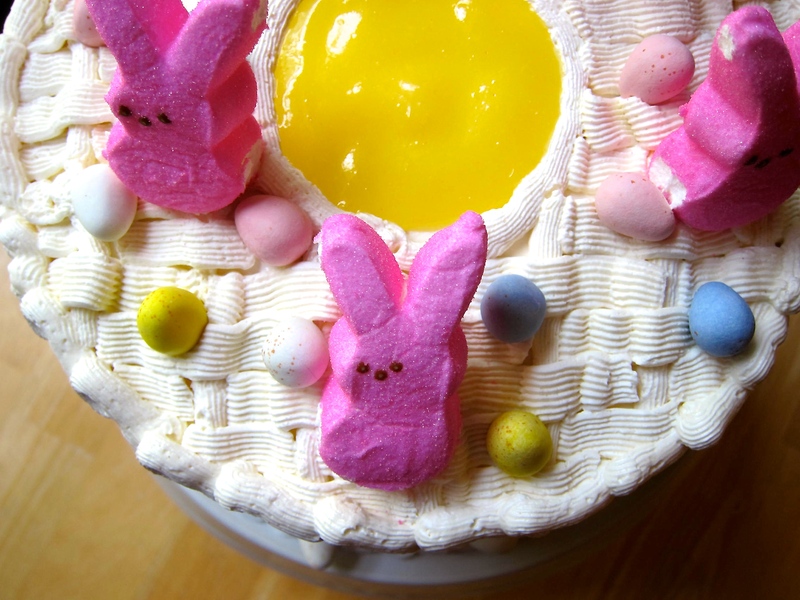 Our friend Holly whipped this beauty up… it tastes as great as it looks! !